Buying a home is a stressful situation in its own right. In between trying to find the right home, in the right neighborhood, for the right price, the type of deed used to transfer ownership of the property often becomes an afterthought. Whether you obtain title by a General Warranty Deed, Special Warranty Deed, or Quitclaim Deed should be an important consideration when purchasing a home. The type of deed used in a real estate transfer is important because it dictates what guarantees, if any, the buyer is receiving from the seller. When you buy a home you want to make sure that the property is properly conveyed and free from unexpected adverse interests. While the majority of real estate transactions involve title insurance, a cautious investor should seek similar assurances directly from the seller. This is accomplished by way of a General Warranty Deed. The goal of both title insurance and a General Warranty Deed is to protect the equity in your home and guard against hidden risks or undiscovered interest, such as liens, claims or encumbrances. As prudent home buyers, we should be doing everything possible to protect our interests. That means purchasing title insurance AND seeking guarantees from the seller by way of a General Warranty Deed. In order to obtain the highest level of protection from the seller requires us to know about the different types of deeds in Florida. When purchasing a home in Florida, you typically obtain title to the property in one of three ways. Transfer of title is either by General Warranty Deed (GWD), Special Warranty Deed (SWD), or by Quitclaim Deed (QCD). GWD’s offer the most protection for the buyer; QCD’s offer the least protection, and SWD’s fall somewhere in between the two. Regardless, Florida law requires that real estate transfers be in writing, signed by the seller(s) and two witnesses, and notarized by a notary public, despite the type of deed used. When purchasing a home, always inquire whether or not a General Warranty Deed is being used. Since a GWD offers the greatest protection to a buyer, this should be their ultimate goal. Needless to say, a seller on the other hand, often attempts to convey title by use of a SWD or QCD to limit their potential liability. Covenant of Seisen. This is the seller’s guarantee that they actually own the property that they are selling and that they have the right to sell it. Covenant of Quiet Enjoyment. This is the seller’s guarantee that if anyone shows up to challenge the buyer’s rights to the property the seller will step in and defend the buyer’s rights. This is a guarantee that the title is superior to claims of any other party. Right to Convey. This is the sellers guarantee that they have the necessary authority to convey title. Warranty Against Encumbrances. This guarantees that there are no other defects, encumbrances, or liens other than those that are listed in the deed. Covenant of Further Assurances. This is the sellers guarantee that if there is a title problem discovered later on, the seller will do whatever is needed to fix it. 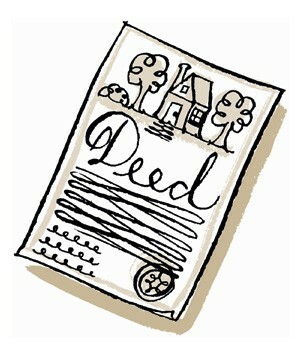 Often, a seller is unable to convey title by General Warranty Deed. However, this should be the exception and not the rule. Join us next week for Part II as we continue our discussion on Deeds in Florida and examine some of the nuances between a General Warranty Deed, Special Warranty Deed, and Quitclaim Deed. The information provided in this article is general in nature and is not tailored for any particular set of facts. If you are buying or selling a home in Florida, you should seek the advice of legal counsel. Posted on April 25, 2012, in Legal and tagged Attorney, Buy a Home, Encumbrances, Florida Constitution, General Warranty Deed, Lawyer, Lien, Quitclaim Deed, Special Warranty Deed, SWFL Real Estate, The Guirguis Law Firm, Vernon Guirguis. Bookmark the permalink. Leave a comment.